In A Flash Laser will personalize pretty much anything. This talented company offers custom engraving and laser etching services for all of your tech devices. If you can think it, In A Flash Laser can make it happen by permanently engraving and etching your iPad, iPod, tablet Kindle, Macbook Air Pro, amongst other items that require a creative flare. The iPad is a perfect canvas for etching. In a Flash Laser uses two different lasers which allows your iPad to be etched in varying shades of white and grey. Don’t have an iPad for etching? No problem, In A Flash Laser also engraves and etches wood, leather, bricks, glass, metal… even peanut butter cups! To personalize and custom etch your iPad cover or case, prices average between $60-$100 and turnaround is roughly 2-3 days. Not bad. 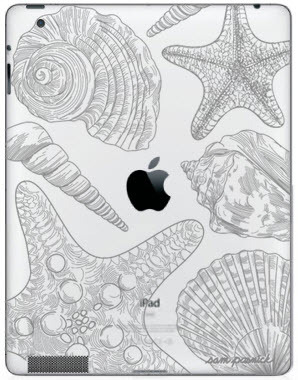 Take a look at the site and please leave a comment below with your iPad etching ideas.